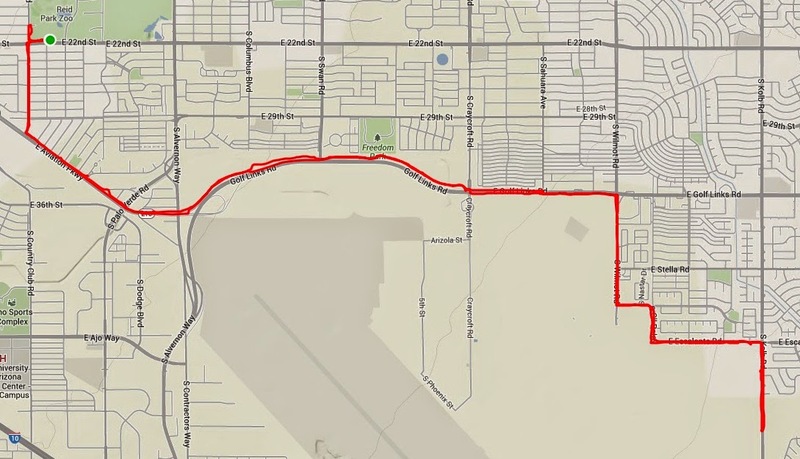 About fifteen miles, from Reid Park to the Davis Monthan boneyard and back. Check out some of the pictures here. I am about 675 miles from my goal of riding 1,000 miles in 2014.